Diamond Jim Tyler (DJT) is a worker! He has practiced magic since 1976 and has been performing professionally since 1986. DJT has opened for Jay Leno, and performed for A-List celebrities like Katy Perry, Scarlett Johansson, Johnny Depp, dignitaries, millionaires and billionaires. He’s been featured in over a dozen magazines (Genii, Magic, Linking Ring, Games, MUM, Abra, Arcane, The Magic Menu, Vanish, etc.) and has headlined conventions like Blackpool, IBM, PCAM, TAOM, Midwest Magic Jubilee, Unconventional Convention, Magic in the Rockies, etc. From his home in Dallas, DJT has lectured or performed in 47 of the 50 states, and in 29 other countries. 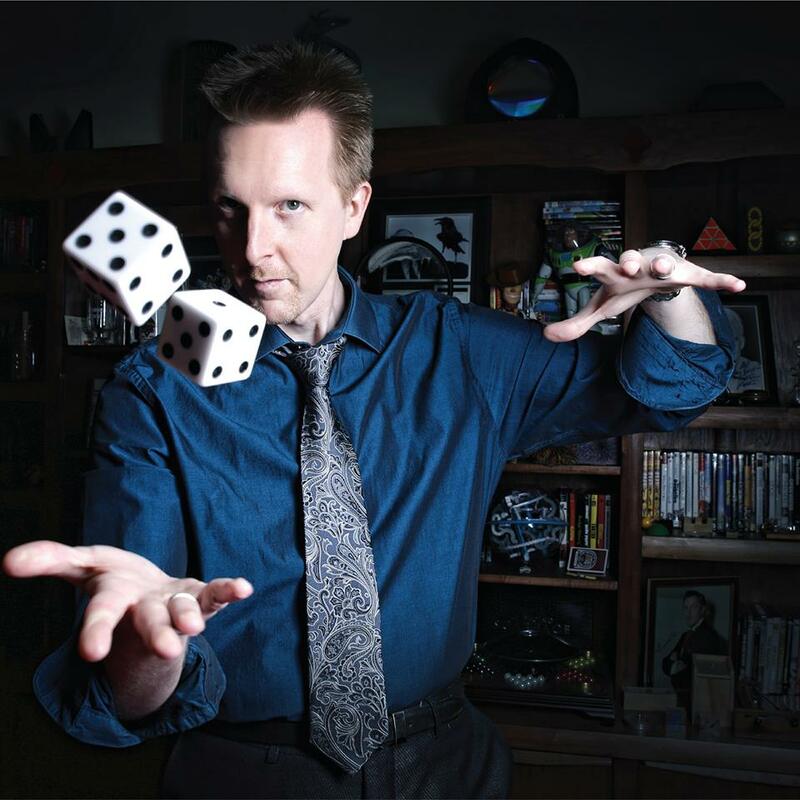 His magic books include Bamboozlers and Close-Up Magic Secrets and created DVDs like Pockets Full of Miracles, Collateral, Sweet, DiaMonte, Mirrors , Quadrare Caan Opus, The Squeezer & Diamond Jack, Telekinetic, etc. DJT is a regular guest star on the popular online show SCAM SCHOOL that has over 1.8 million followers on YouTube. Among his effects DJT is famous for are Diamond Deck, SentiMental Postcards, ZAP Wallet, Hydro, 7 Lucky Dice, Magic Math Sticks, Winning Spinning Nickels, Ominous Deck, etc. …AND MORE!!! Plus puzzles, jokes and bar bets from his Bamboozlers series, Q&A, and special pricing on DJT’s original Books, DVDs, props, and packets you can only get at the lecture. This is an event you don’t want to miss!! !